A Must Have LED Emergency Road Flares for Each Car, Truck, Motorcycle, Boat and More. To Save Lives, Don't Miss Out! They Last Longer and Are Easier To Use Than Standard Hazard Lights. * Magnetic base to attach to your vehicle magnetically. * With extra elevated base (removable) for uneven road. * The portable durable hard case is great for easy storage and safety protection. 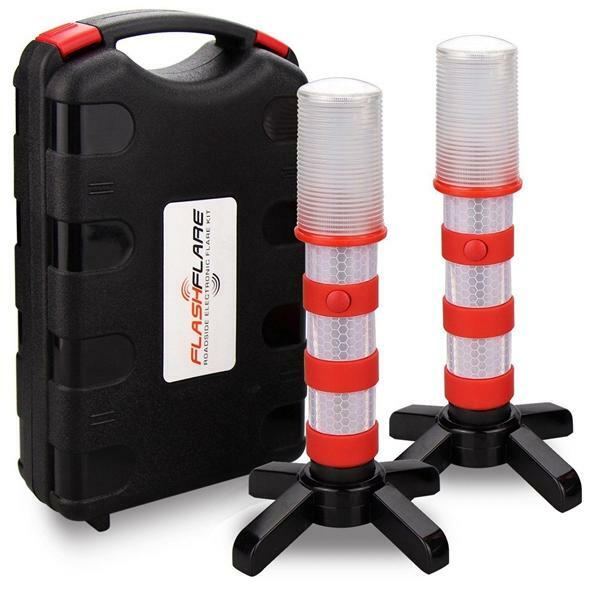 * 2 LED flares packaged into a strong durable weatherproof storage case, easy to carry, safe to go.